Regular exercising and eating healthy has become a part of our life. I mentioned earlier why it is important to me: the only way for me to be on top of all the demands of day-to-day life is being in the best physical shape: strong, flexible, energized, and healthy. I have shared some of my experiences with this lifestyle. Neither exercising, nor eating healthy have burdened me in terms of time, effort or money. With time, I have figured out the right combination of healthy vs. doable, and found the balance that I have been able to maintain. Today I want to focus on one element of that combo: walking workouts. Walking, of course, isn’t rocket science, and any amount of walking you can do is a plus. However, to count as a workout, it has to meet a couple of key points. I am not a fitness expert, and these are just some tips that worked for me, plus the result of my personal research. * Speed: it has to be so fast that you can’t comfortably carry on a conversation. Or other way to put it is, if you were to walk any faster it would be running. That is why in my opinion, the best way to do a walking workout is solo. I think walking with a buddy is great for socializing, but it is not as effective as a workout. Unless you and your walk buddy keep quiet and keep on walking side by side (which Brian and I frequently do). * Distance: the longer you walk, the better (earth-shattering, I know). My goal is two miles. However, it is important to start out with the distance that you are comfortable with, and add to that. Over-doing it is a sure way to burn out and quit. 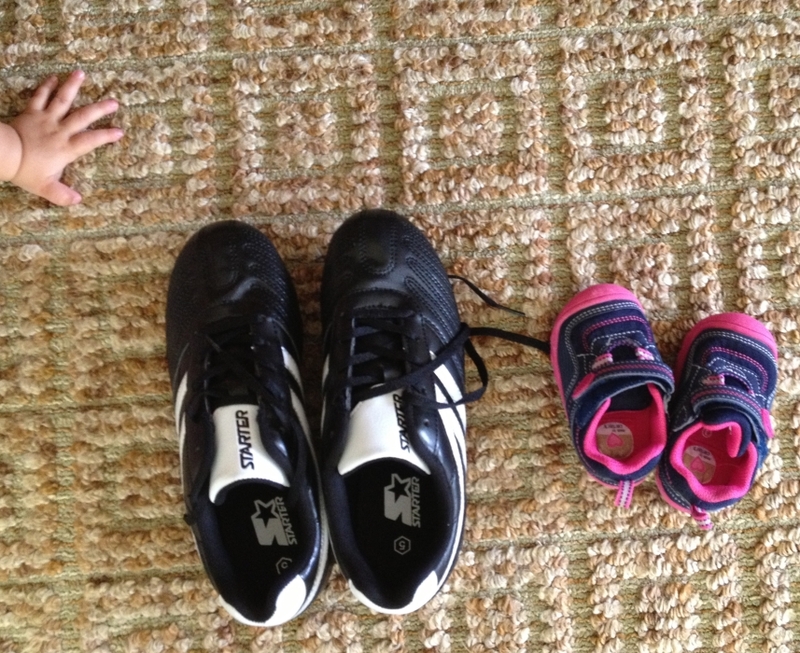 After my fourth baby was born, I could barely walk around the block at first. It took me some time to get up to speed. And that’s totally fine– slow and steady wins the race! * Technique: Landing heel first and rolling through your foot is one thing to remember. Another thing is keeping your posture, and engaging other muscles, especially your core muscles, as much as possible. If it feels unnatural at first, be conscious of your body, and it will eventually become a habit. This makes the workout more productive. 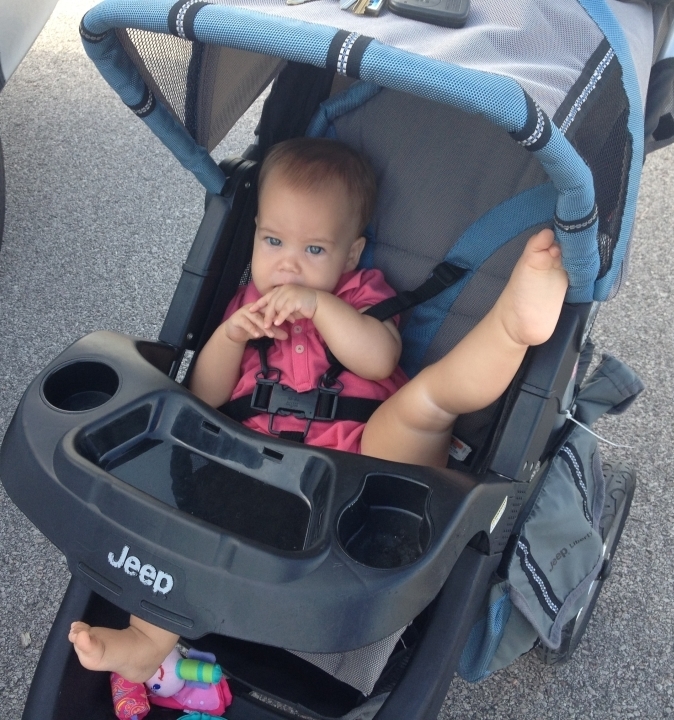 * Outside: walking with a stroller is a great way to kill two birds with one stone. The kid gets some fresh air, and you get a work-out. Pushing a stroller definitely adds weight, and makes walking harder. I consider it to be a “weighted” workout. 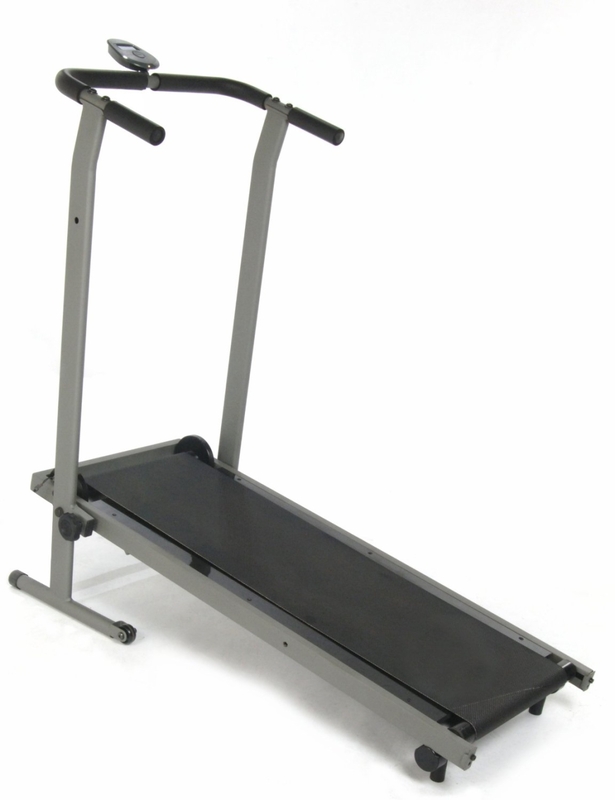 *Indoors: I have a mini treadmill, and it is my preferred way of walking. It is set on the incline, and it is manually powered, meaning I have to push the belt with my feet while walking. It is a terrific leg exercise, in addition to cardio. I plan to write a more detailed review of this little treadmill, but for now, I really recommend it if you are shopping for one. *During lunch break: when I was working full-time outside of home, my office was close to my house, so I had an opportunity to work out on my treadmill for 20 minutes, clean up, and eat lunch quickly. Not everyone works within a five minutes drive from home though! But I am pretty sure there is a number of small gyms with affordable membership around where you work. With a 20 minute walk on a treadmill, a shower and a quick bite to eat, a gym could be a perfect solution! *Right after work, before diving into family activities and dinner: keep workout clothes in the car and change before leaving work. Make sure to eat a snack late in the afternoon to have enough energy for the walk. After the walk, you will feel more energized to tackle the evening rush at home (I know I always do!). * After dinner, while you take the kids to the park. When my then-youngest was 2.5 years old and my oldest was 11.5 I was working that office job I mentioned above, and was a single mother. My favorite part of the day was taking the kids to the playground and walking around the playground, keeping an eye on them, and then joining them on the playground. *If you work from home (because all mothers work!) you may have more flexibility with scheduling a walking workout: while taking your kids out in a stroller/while the kids are napping/while the kids are watching a movie (save it just for this time of the day). I like to say, “if there is a will, there is a way!” As busy as life is, when you cannot find time to exercise, you have to make time for it, if it is a priority. *None is required: the beauty of walking workouts is that you don’t need any special equipment. Just make sure you have comfortable walking shoes, and you are good to go! I don’t believe you need to spend a lot of money on exercise gear in order to make your workouts productive. All my workout clothes comes from Target or Walmart and has been performing just fine. * A source of music/podcasts: I recommend music because it is a very effective motivator, and it is a great opportunity for a “me” time. On the other hand, it is also great to use your walking time to contemplate and listen to your inner thoughts. For me it is usually both. *An app on your phone: I found it helpful to use an app for tracking my speed and distance. I use a free app called MapMyRun. I only use it for basic speed, time and distance tracking, but it has a lot useful features, like sharing your workouts with a group of friends, inviting friends to join you “virtually”, log your progress, and even track your calorie intake. Real Simple magazine, February 2014 issue, had a great article on this topic. I recommend the printed edition, but if you cannot find it, you can read some of it here and here. You may be interested in reading my posts about how to keep up motivation to exercise and how exercise helps maintain healthy wait. What is your experience with walking as a way to work out? Please feel free to share any tips you have! If you like this post and know somebody who will be interested in reading it, feel free to share it using the buttons below! Sharing at Morganize with me. I love that quote – Where there’s a will there’s a way! Your treadmill sounds like a great workout and I love multi-tasking by squeezing in a workout when my kids are at a sports practice. Hi Morgan, I find that quote helpful in a lot of situations when I need motivation. Working out during kids’ sport practices is a great way to do it. I usually still have time to watch them practice, so they don’t feel neglected.